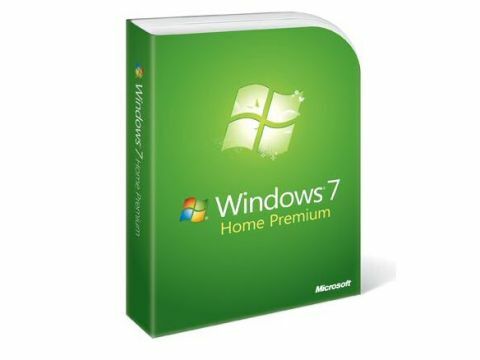 There may be six versions of Windows 7, but unless you need the business features of Professional or Ultimate, Windows 7 Home Premium is the version you want. But what do you get in Home Premium and is it the right mix of features? If you've been following the previews or even trying out the beta and Release Candidate test versions of Windows 7 over the last year, you've been using the full set of features – some of which will only be in the Ultimate edition. Is Home Premium a let-down after that or has Microsoft managed to deliver the Goldilocks' porridge of consumer operating systems; not too basic, not too complicated, but just right? As with our review of Windows 7 Ultimate, what we're looking at is the same code that you'll get when you buy Windows 7 (or a new PC), but without the final Media Center content deals, without the browser 'ballot screen' that will let you European customers choose between Internet Explorer 8 and various other browsers. And also without the Device Stage experience and custom software that PC manufacturers will install for many of their systems. The closer we get to launch, the more drivers are available; upgrade up a touch-enabled PC like the Dell Latitude XT2 to Windows 7 now and the multi-touch drivers will be installed automatically. Whether you're upgrading your current PC or buying a new one, Windows 7 has to convince you to choose it instead of XP or Vista. It has to stand up to Snow Leopard now, which is rather easier than it looked before Apple's latest upgrade actually launched, but also to the next two years of Mac OS, Android, Chrome and Linux releases. And Windows 7 Home Premium has to prove itself as the natural successor to the ultimately-disappointing Windows Vista Ultimate – because given the price tag, Windows 7 Ultimate isn't always the best choice. Windows 7 Professional has a good mix of key business features; but does Windows 7 Home Premium really give the home users a truly premium experience?